Sally Trench spent her teenage years and her early twenties living alongside and working with adults and young people with a wide variety of needs. This convinced her that ‘prevention is better than cure’. 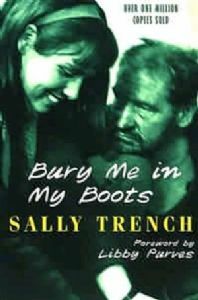 She wrote of her experiences in Bury Me in My Boots  which sold over one and a half million copies. Sally used her royalties from this book to set up Project Spark in the early '70s. Originally, Spark offered a safety net to young people who were in danger of sinking into a life of drug addiction and crime. Spark offered a mixture of practical help and ‘tough love’ to restore self-respect and offer children a realistic and rewarding future. From 1970-1972 Project Spark provided support and special education for deprived and disadvantaged young people in Yorkshire. In 1972 Spark relocated to London. Over the next sixteen years, Sally and a small team of devoted teachers educated and cared for more than 600 highly troubled teenagers. All had been referred by their schools as ‘problem cases’ and most had police records. The vast majority were subsequently able to undertake higher education and obtain steady employment. Funding was provided by ILEA [the Inner London Education Authority]. When ILEA was closed, Project Spark’s funding was withdrawn. In 1991 war broke out in the former Yugoslavia. 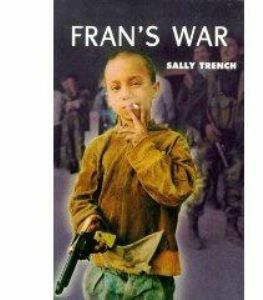 Sally Trench was deeply concerned by the plight of children in war-torn Bosnia. With the assistance of a dedicated team she led thirty truck convoys, taking food and medical aid to areas behind the front line. She raised the necessary money by giving fundraising talks to schools. At that time, Spark moved its base to Orchard House in Wendlebury, Oxfordshire. In Bosnia, Sally became aware of a generation of young war victims growing up with neither schools nor teachers. Her fundraising talks inspired a number of headteachers in the UK, the USA, Australia and New Zealand to offer free school places to Bosnian teenagers. They have now returned to Bosnia to rebuild their country and Sarajevo University. Sally now divides her time between South Africa and the UK. For details about her work, please click on South Africa Project.